In colour animation, specific colours are used to paint each particular character. In order to maintain absolute consistency, a colour palette is created for each character, prop and effect throughout the production. These are referred to as master palettes. Toon Boom Harmony uses palettes to hold all of the colours needed to paint your elements, allowing complete control and consistency in your painting process. 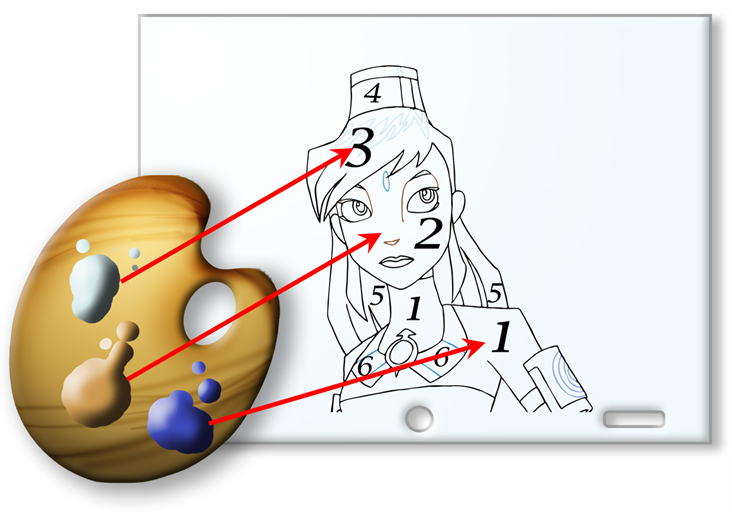 A palette is created by assigning a set of colours to each character, prop or effect. You will create a new palette and add a new colour, known as a colour swatch, for each zone of the character, such as the skin, hair, tongue, shirt, pants, etc.